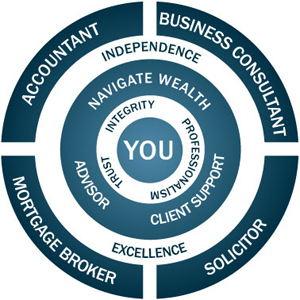 Navigate Wealth Advisors and Planners Sydney will work closely with you, your accountant, solicitor, mortgage broker and real estate agent(s) or one of our recommended partner professionals (if required) to ensure your financial assets are working effectively for you. We will also co ordinate your team of professionals to ensure your assets and dependants are protected against any risks you may face. Whether it is a comprehensive financial plan or specific advice in relation to one specific area, a Navigate Wealth Adviser can help you achieve your financial goals. Experts in Self managed super funds, direct property, direct shares, direct cash and bond investments.